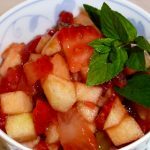 Thanks to my sweetest friend Regina for sharing this delicious and refreshing recipe for a fresh fruit salsa. It’s delicious! A note from Regina– I have been seeing this recipe a lot lately and thought that I would share my version. These few key ingredients come together fabulously to create a delectable, refreshing side dish as well as a dessert. Nice to serve with cinnamon pita chips as a snack. Makes a great breakfast over cereal, waffles or oatmeal. Hull strawberries and chop. I like to use a hard boil egg slicer to begin the chopping process. Add to a medium mixing bowl. Peel and chop the kiwi. Add to bowl. Peel and chop the apple in the same small size as the kiwi and strawberries. Add to bowl. Mix together the jam and orange juice, then stir into fruit. Refrigerate for about an hour or more. 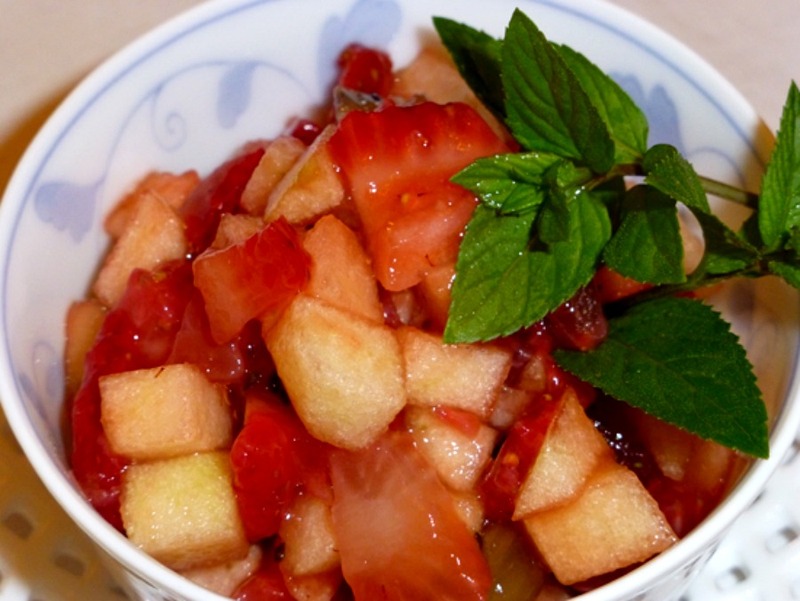 This refreshing recipe is so simple to throw together. Great as a side dish, snack or wonderful over cereal, yogurt and pancakes. 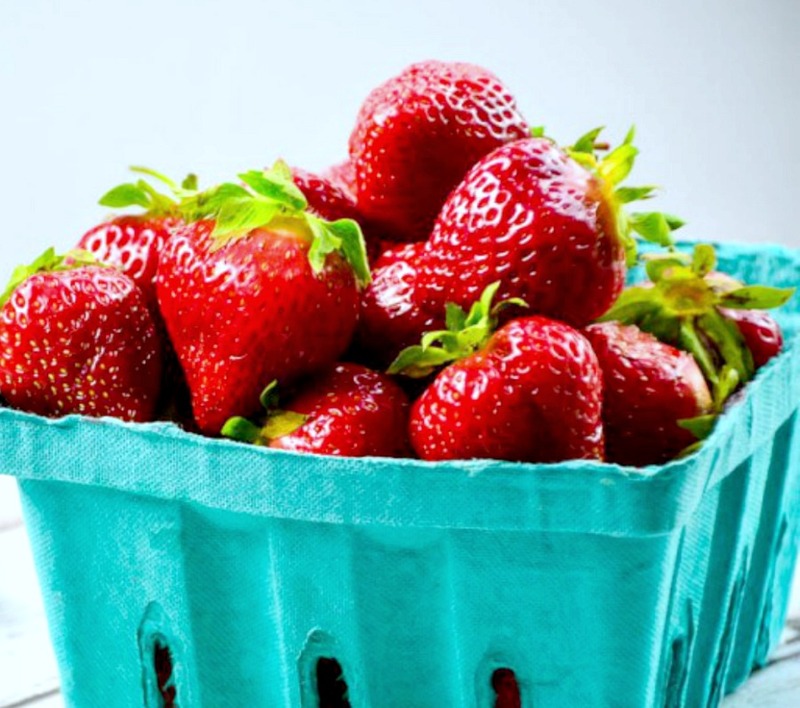 1.Hull strawberries and chop. I like to use a hard boil egg slicer to begin the chopping process. Add to a medium mixing bowl. 2.Peel and chop the kiwi. Add to bowl. 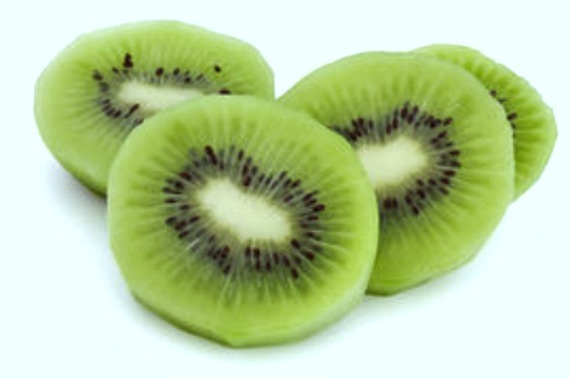 3.Peel and chop the apple in the same small size as the kiwi and strawberries. Add to bowl. 4.Mix together the jam and orange juice, then stir into fruit. 5.Refrigerate for about an hour or more.